I received today's card from my friend Ange McKay. 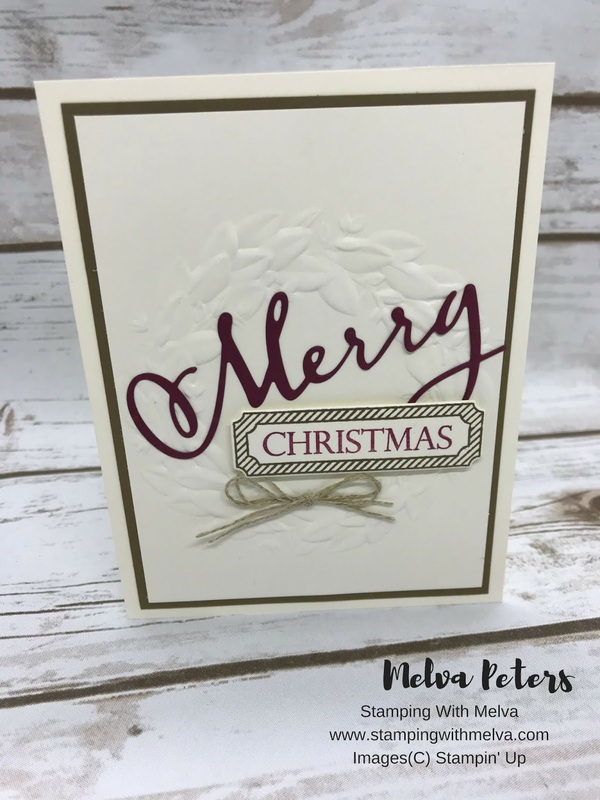 I love how she has used the Seasonal Wreath embossing folder and added in the elements from the Merry Christmas to All Bundle. Don't Soft Suede and Cherry Cobbler coordinate beautifully? Cut thick Very Vanilla cardstock 8 1/2" x 11" and fold in half to make card base. Adhere a piece of Multi-adhesive Sheet to the back of Cherry Cobbler cardstock. 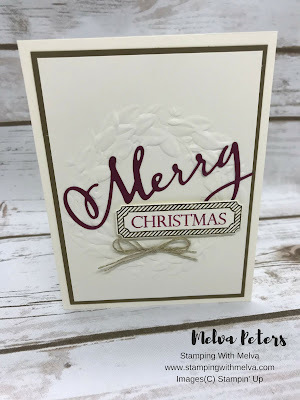 Cut "Merry" using framelit in Cherry Cobbler. Remove the backing and adhere the "Merry" to the middle of the Very Vanilla cardstock wreath. 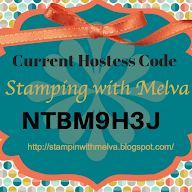 Stamp sentiment in Soft Suede (border) and Cherry Cobbler (word) and cut out with coordinating framelit. Adhere to card front using Dimensionals. Cut about 16 inches of linen thread and fold in half and tie a bow. Cut both ends to trim and attach to card with a Glue Dot. Adhere card front to card base using Snail.